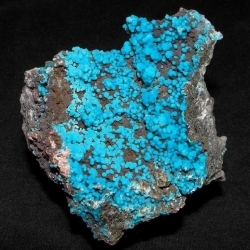 Brochantite sample noted by intense color and shine. 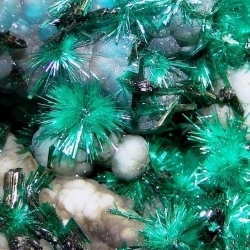 It is noted for being a very aesthetic sample. 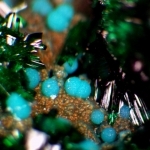 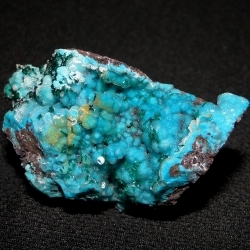 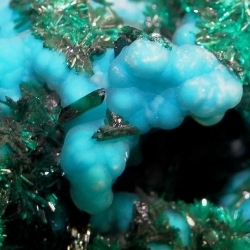 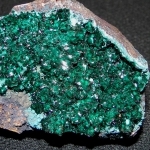 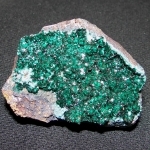 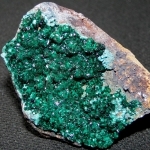 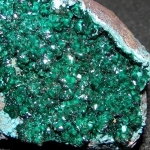 The Brochantite is accompanied by chrysocolla balls, chalcedony Druze and some minor crystals of torbernite.